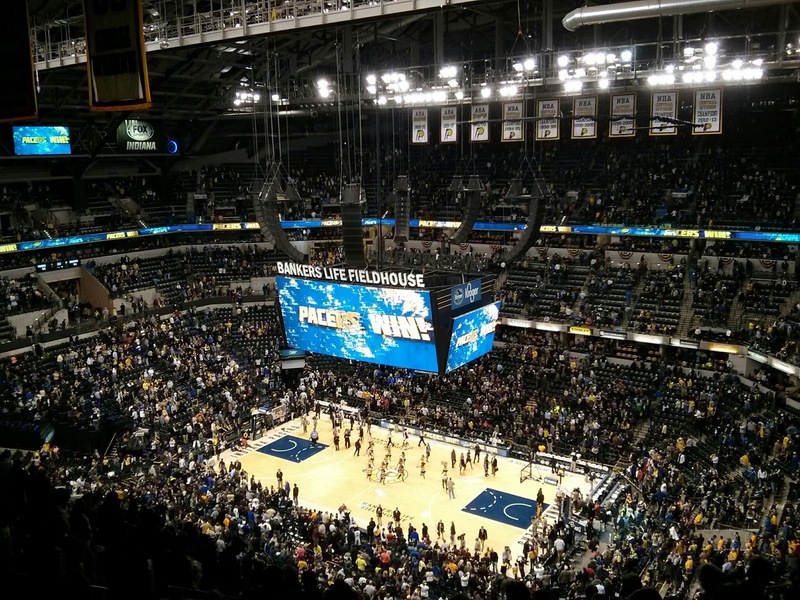 We went to another Pacers game last week! 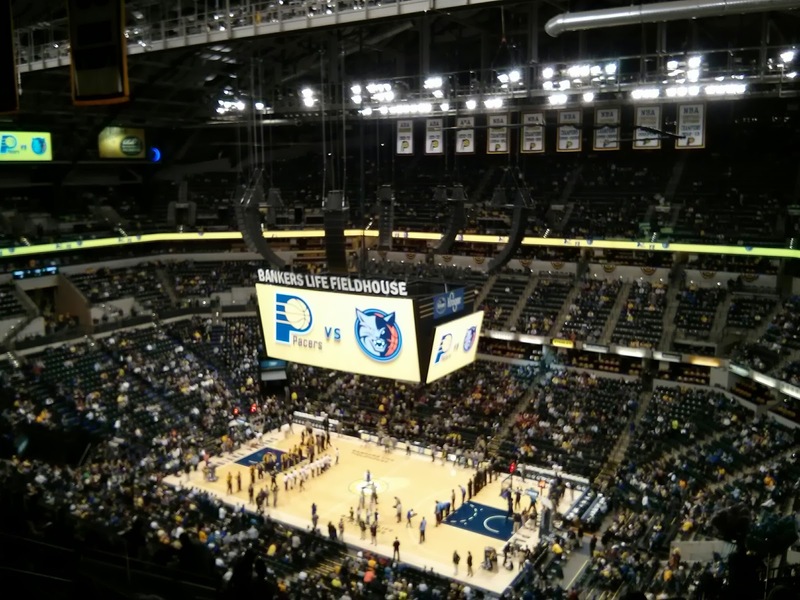 This time it was Cody Zeller night, as the Pacers were playing the Charlotte Bobcats. 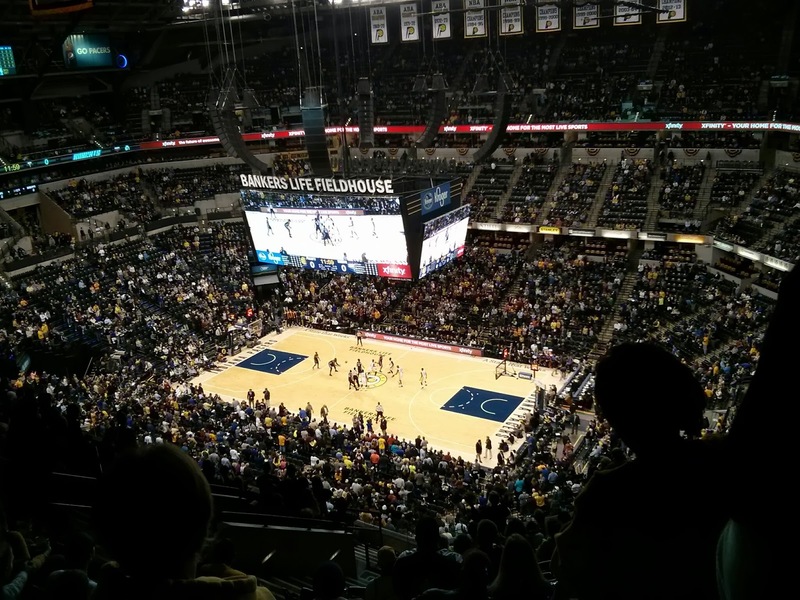 The IU promotion was the Lucas Oil Family Night promotion, and our nose-bleed tickets (~$15) also included a free gift (a t-shirt) and a food voucher good for a hot dog, bag of chips, and Pepsi product. I'd say it was a pretty good deal! 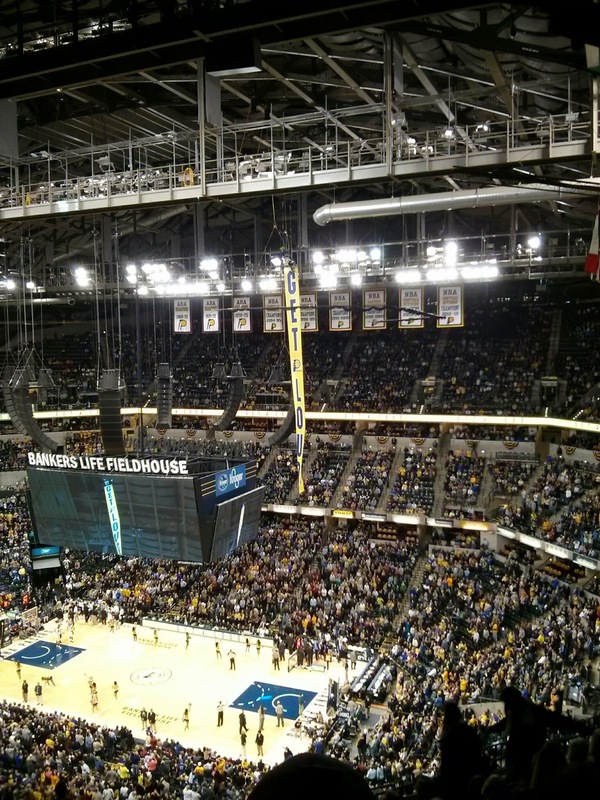 Boomer came down from the ceiling before introductions, and he went back up to the rafters during the game with this Get Loud banner. Awesome! Halftime this game was pretty cool (although the trick dogs might win forever). First they had a tug-of-war shooting contest. The two shooters below are connected with a rope around their waists, and each is trying to make as many shots as he can. It was funny to watch a shooter leave the ground to shoot and be tugged backwards while the other guy was running forward! 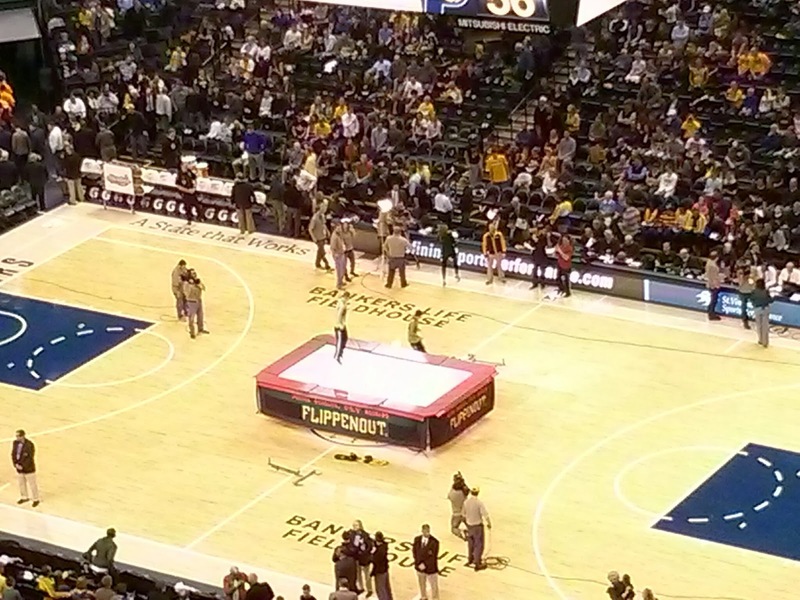 The other part of halftime were these two trampoline jumpers. They were awesome. I took an Instagram video of them doing some tricks. 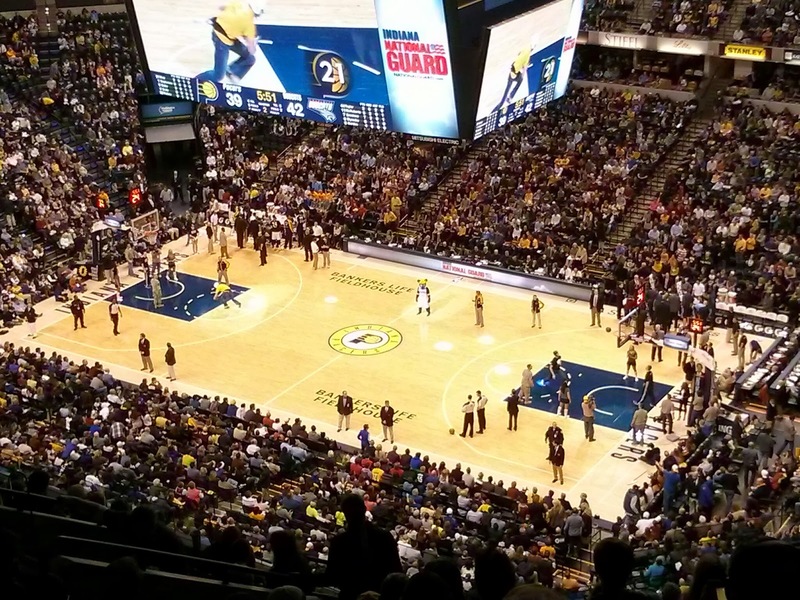 We had another great time at the game! 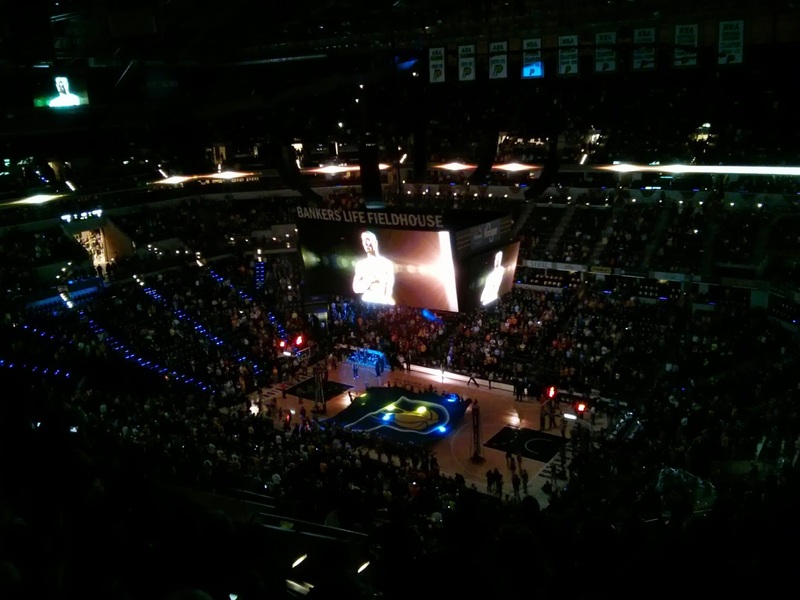 Was anyone else at the game last Friday? Did you have any troubles with the snow? My dad tried to convince us to not go since it was supposed to snow so much and we don't have a 4-wheel-drive vehicle, but we convinced him to go anyway and it turned into a great time (and the snow wasn't too bad).